This week’s blog is dedicated to highlighting our favorite special from each of our stores. 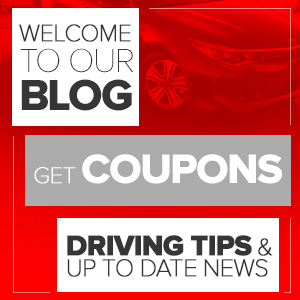 Keep reading to find your perfect vehicle for less! First of all, our 2017 Chevy Closeout has arrived at our store in Blair, and we’re loving the spaciousness and style – and especially price – of the 2017 Chevy Silverado 1500. Just look at it! Tough enough for whatever you need done, and big enough to bring the whole crew along. At our Ford store in Ceresco, we have a 2017 Ford Escape that’s looking stylish, not only because it’s a really good-looking SUV, but because it’s less than $20k. Affordability has never looked so good! In Crete, the 2017 Chevy Traverse is another great option for anyone who’s looking for something versatile that can tote the whole family wherever y’all need to go. Just look at it – and then look at that $24,999 price tag. A steal, for real! In Fremont, the 2017 Buick Enclave Premium is making us drool. Buick isn’t just oversized sedans anymore, people! Look at this majestic beast. Tell us, to our faces, that you wouldn’t like driving around in that thing every day. Yeah, we knew it. Finally, the 2018 Hyundai Elantra SE at our Lincoln store is the perfect car for anyone – sleek, new, technological, and super fun to drive. Just look at that grille! If you’re looking for a great car at an amazing value, this is the one. Of course, the only way to get to really know these vehicles is to test drive them. So, make a day of it! Stop by all of our stores and test drive your favorites! No matter where you go, you’ll get that famous Sid Dillon customer service – and that’s a promise.